Readers have expressed some pretty interesting feedback about my new toy, The Training Mask. Reactions span from “are you that worried about the Rapture?” to “are you The Gimp?” Naysayers all. I’ll try to justify my obtaining it simply: The Training Mask is surprisingly fun to use! Not only that, but I felt at least some of the promised positive effects while training with it. So there. Moving on. First, the workouts. I used it for three different sessions, which I list here for later reference. Now for the review. If you don’t believe my claim that it’s fun and effective, I’ll give you a few reasons. Before donning the mask . 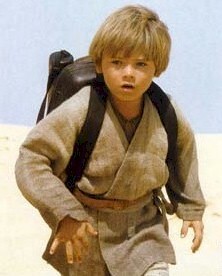 . .
Future master of the Dark Side? Or a young Justin Bieber? and after it’s on . . .
Reason #2: The Training Mask is challenging. My first workout was to wear the mask while performing all the Shohei-Ryu kata three times consecutively. Nearly all martial arts involve mastery of breathing, right? Styles that include katas and forms especially seem to focus on controlling when and how you inhale and exhale. Breathing appropriately helps to improve focus and power when moving and delivering strikes. The Training Mask disrupts normal breathing patterns to say the least. When doing the first few katas of my workout, my breathing felt pretty natural. I learned quickly that I couldn’t do my “karate breathing,” however. The deliberate pauses and quickening of breath that come with effort and exertion are not possible with the mask. If you hold your breath or exhale forcefully, YOU WILL PAY. Every time I forgot this, I literally sucked wind, the mask expanding and contracting around my face. It also forces you to pay attention to your breathing and your energy levels, and it makes even the simplest exercises difficult in time. Toward the end of my session, I kept screwing up the techniques in my katas due to fatigue and lack of concentration. You obviously aren’t worried about form while maxing out your cardio, so I wasn’t too concerned. Then next day on the elliptical was much easier in the sense that I didn’t have to concentrate on my movements. I just wrestled with the machine and sweat (and panted and gasped) through my workout. It felt so good to get through “the burn” and to take off the mask. 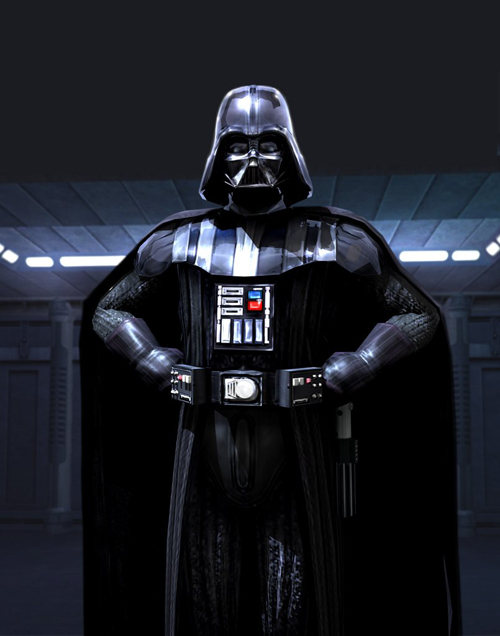 I must also admit to a whole new appreciation for Darth Vader. Now I know why he never really moved too much during his fights–he was just trying to keep breathing! Reason #3: The Training Mask provides pulmonary resistance. I’m not sure I buy the claim the the mask truly simulates altitude training. I’m no scientist, but I know that acclimatization plays a major factor in building and sustaining the effects of low oxygen. You simply can’t get that from short, breathing-restricted workouts at or near sea level. You can enjoy the benefits the mask provides by training your lungs, though. After my first two workouts–especially sprinting on the elliptical–I tried to perform a few intense movements after removing the mask. I noticed that aside from muscular fatigue, my cardiovascular system made a much easier job of exercise. It reminded me of how hitters swing the bat with a weight on it before stepping up to the plate. I think this is the main effect of The Training Mask; if you wear it, you’ll strengthen your lungs and diaphragm, making “the swing” of breathing easier when you tax yourself. Workout Three was designed to test this hypothesis. But my experiment wasn’t prefect. I made it through 2:30 of round one before having to back off: the mask and the heavy bag were winning the fight. I recovered a bit in round two before removing the mask and hitting the road for round three. I ran as fast as I could, but I had no legs. The lack of oxygen depleted my muscular endurance by that point. I did enjoy a mild “high” from breathing freely, and didn’t feel the least bit winded throughout the rest of the workout. The Training Mask had done it’s job, but I have a lot more work to do before getting used to it. It will be a long time before I move up to the orange and red levels of resistance! Thanks for reading through my somewhat discursive review of The Training Mask. It is easy to use, places unique demands on your mind and body, adds some variety to your workouts, and is a unique way to build your cardio. Once I got past the freaky feeling of breathing through three small holes, I had fun with it. Give it a try and you will too. PS – One other thing I meant to mention cleanliness. The mask ships with a few packs of sanitary wipes to keep out mold and scuzz. I didn’t think I’d use them until Workout Two when I put the mask on, and it was wet and slimy from the day before. I’ve been wiping it with a towel since then and plan to disinfect as needed. This entry was posted in Equipment, Reviews. Bookmark the permalink.